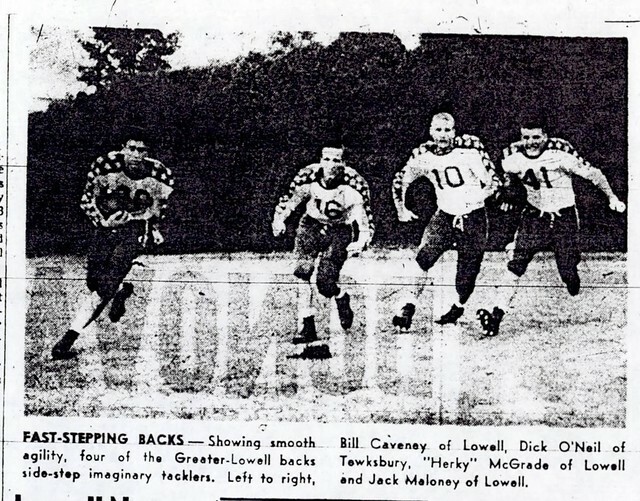 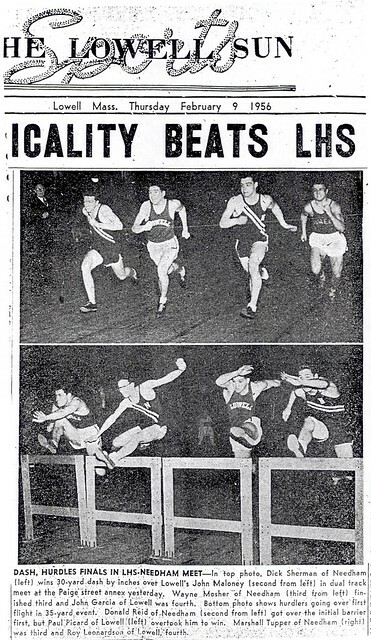 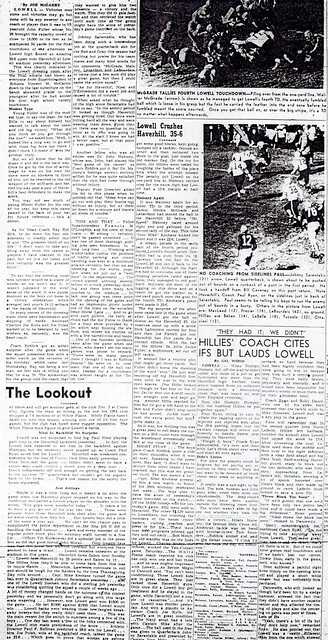 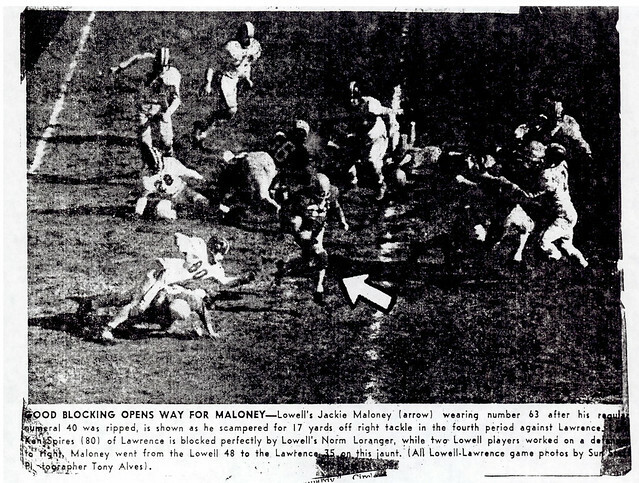 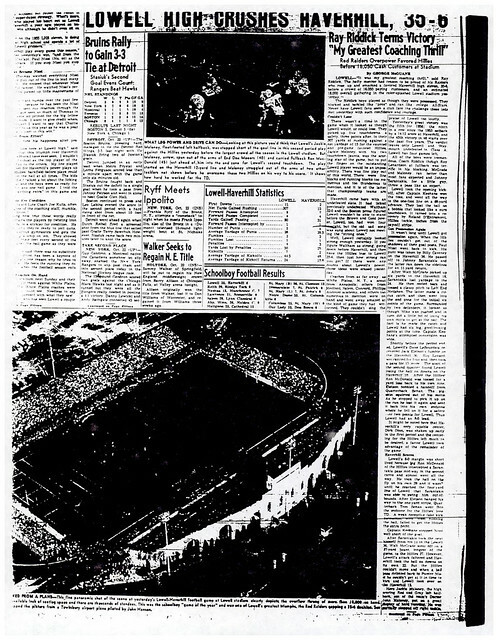 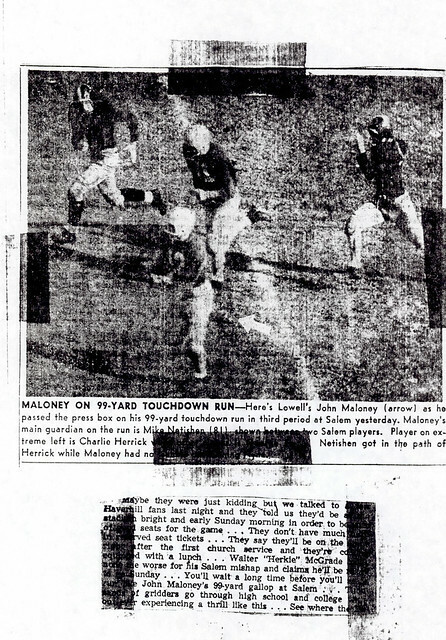 Renowned for his outstanding speed and quickness, John Maloney enjoyed a stellar career as a member of both the football and track teams at Lowell High School. 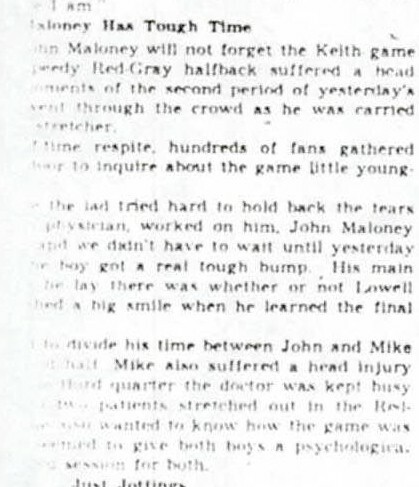 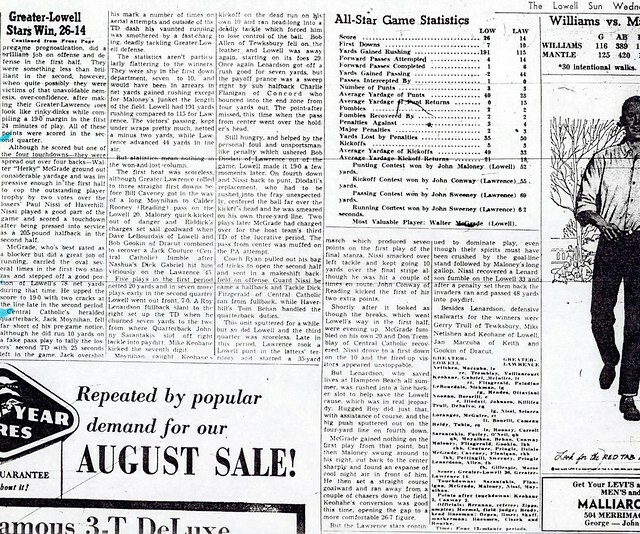 As a member of Coach Ray Riddick’s football juggernaut of the mid 1950’s, John made significant contributions as the Red and Gray compiled a 26–1 record during his tenure. 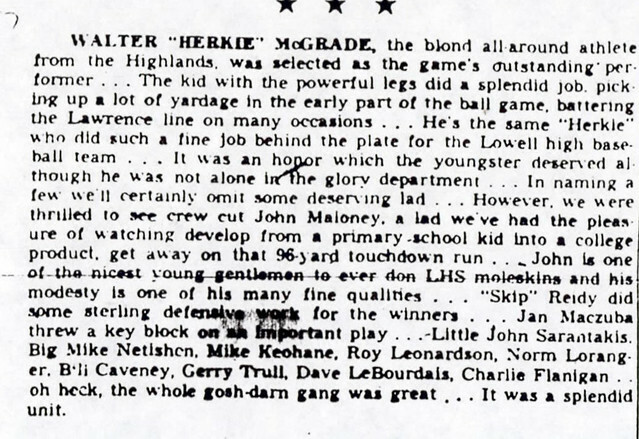 The elusive, explosive halfback tallied 16 touchdowns during his senior year. 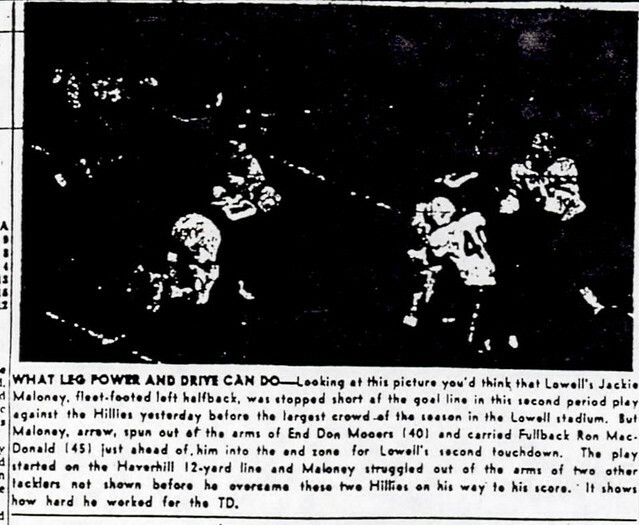 Four of these touchdowns were runs in excess of 80 yards from scrimmage, including a Lowell High School record 99-yard jaunt against Salem. 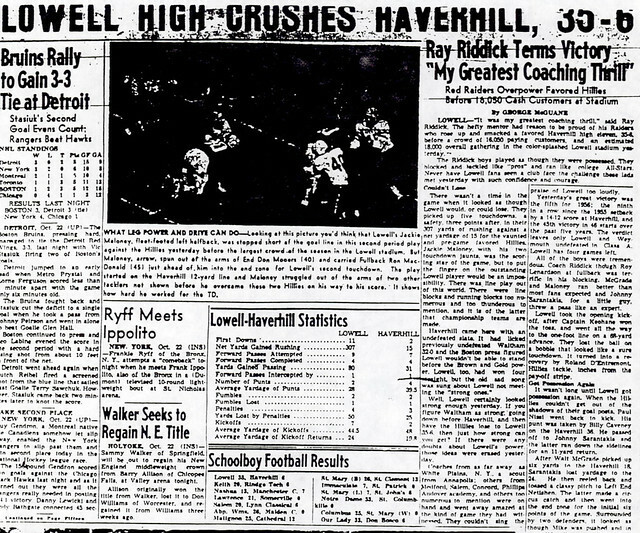 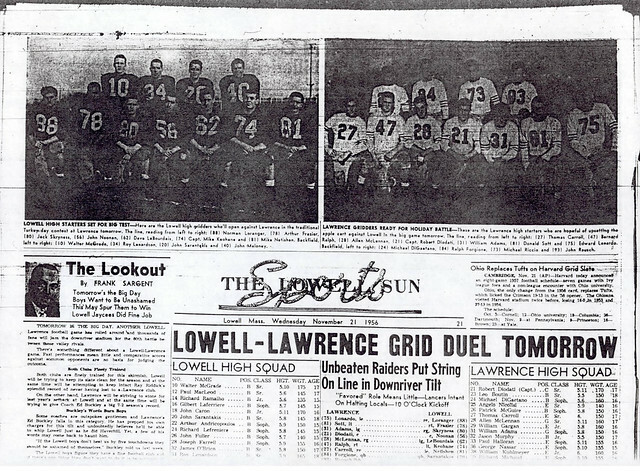 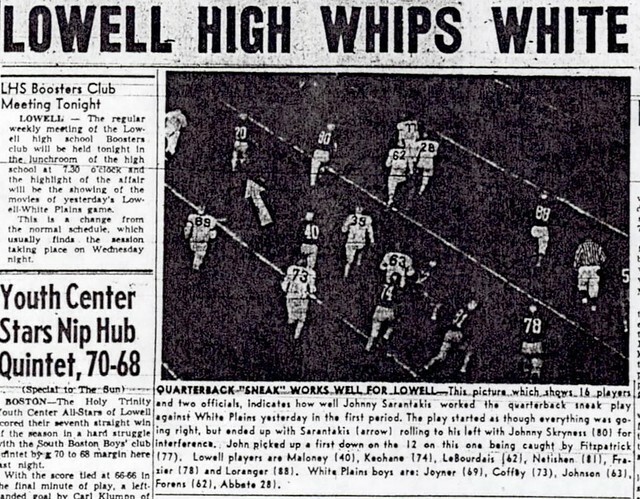 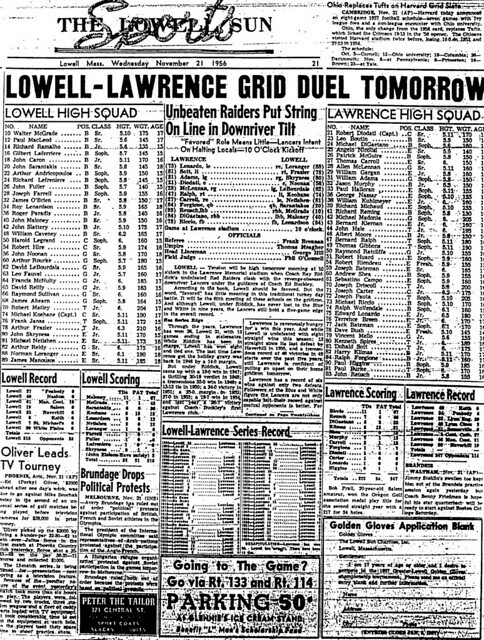 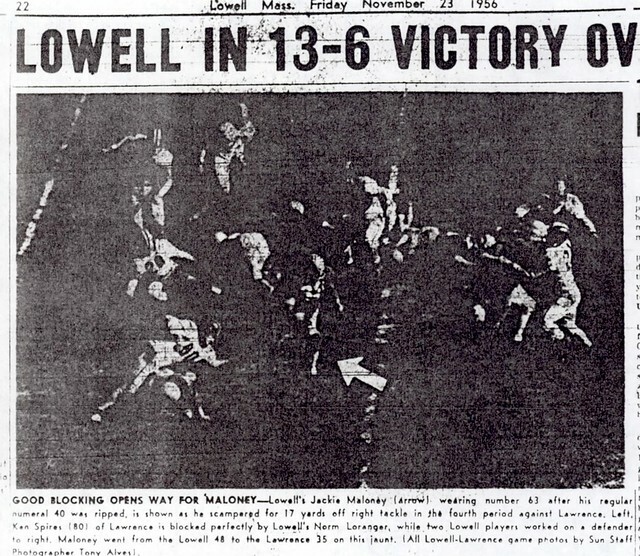 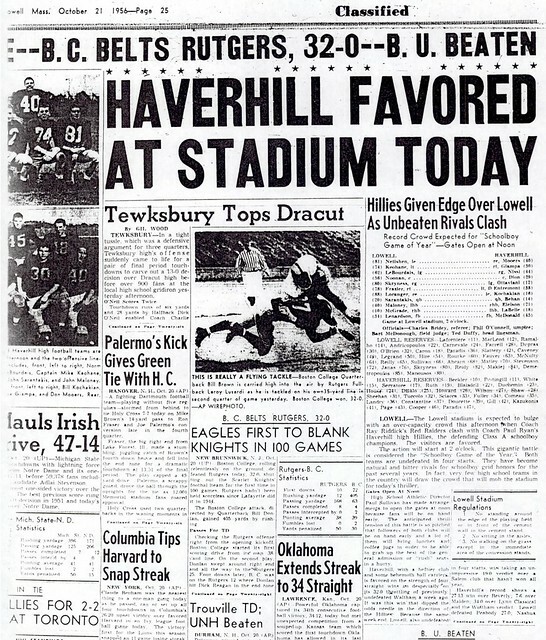 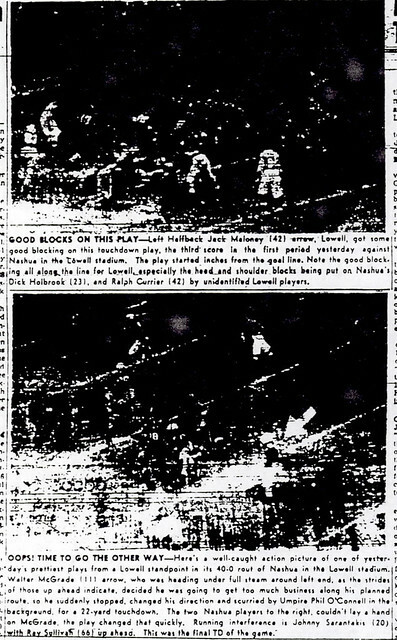 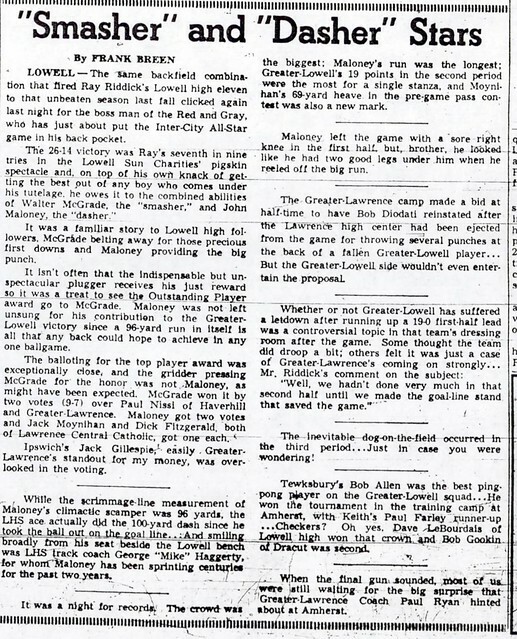 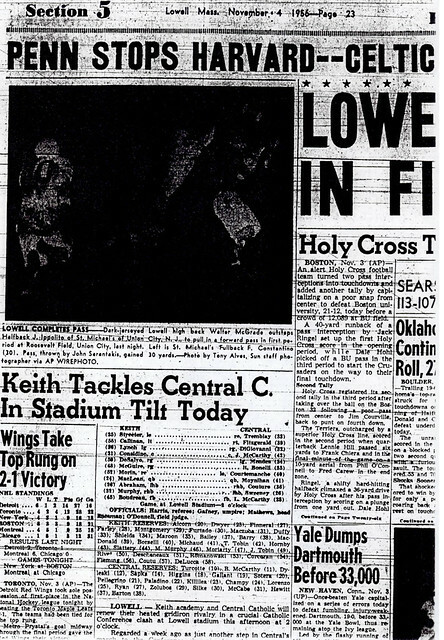 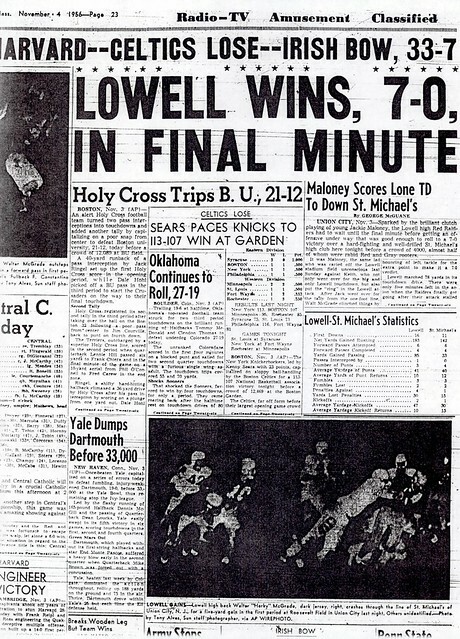 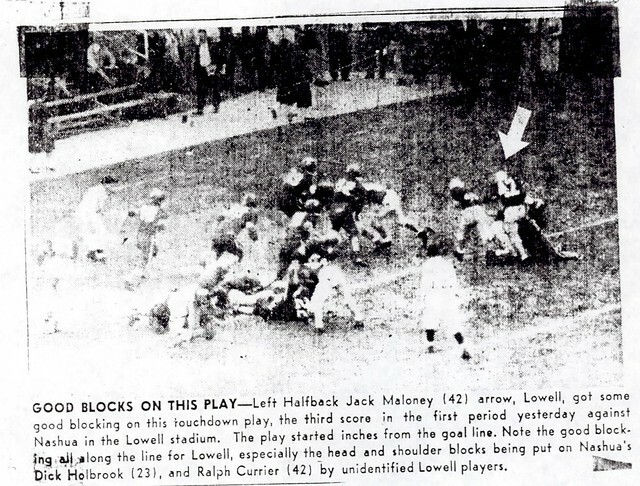 John tallied three scores each against both Nashua and Manchester Central and two in Lowell’s memorable 20–6 victory over powerful Haverhill. 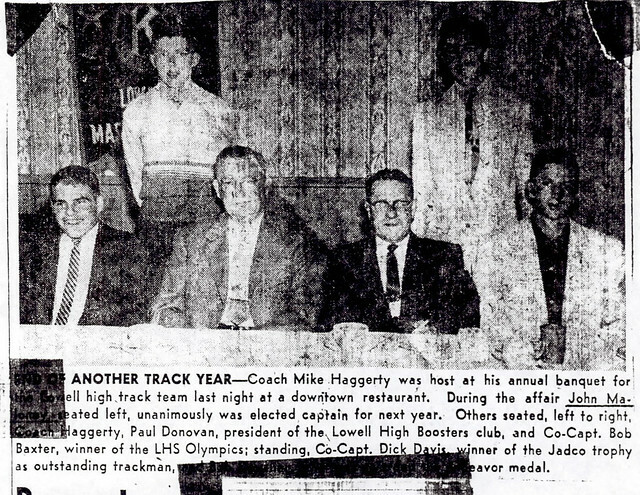 An outstanding sprinter for Coach George “Mike” Haggerty, John was undefeated in both the 100- and 220-yard dashes during both his junior and senior years. 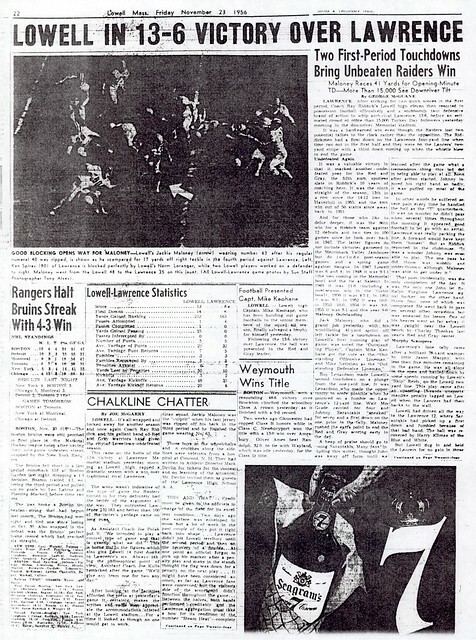 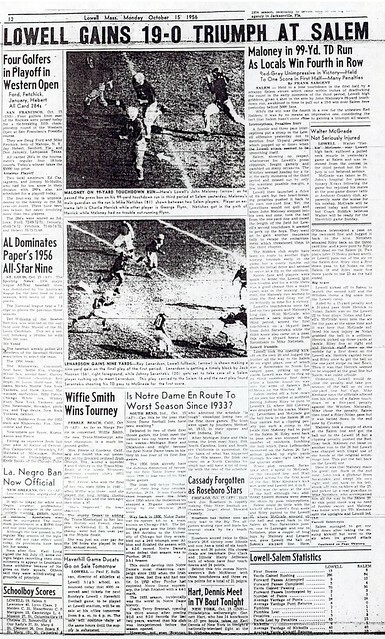 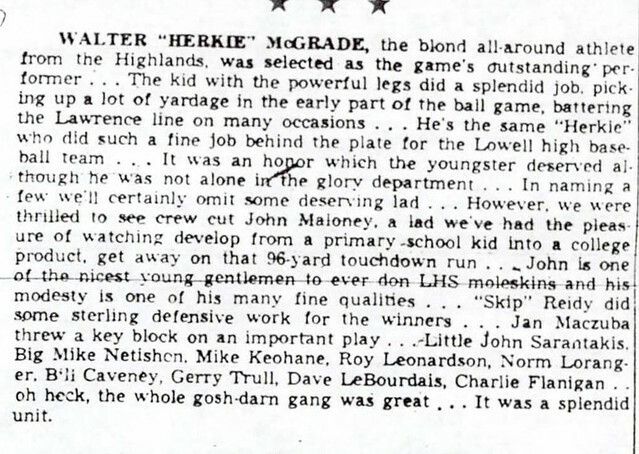 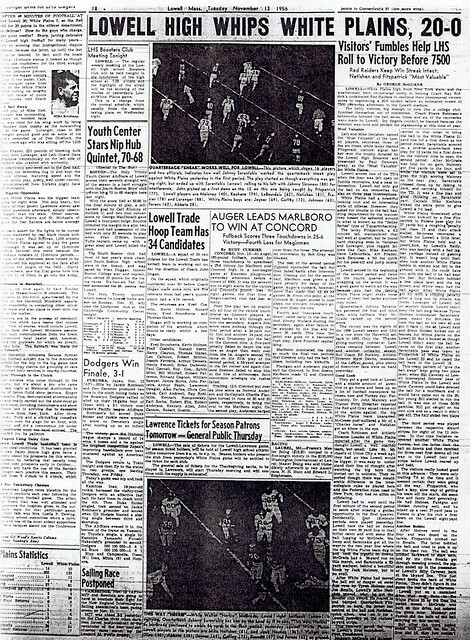 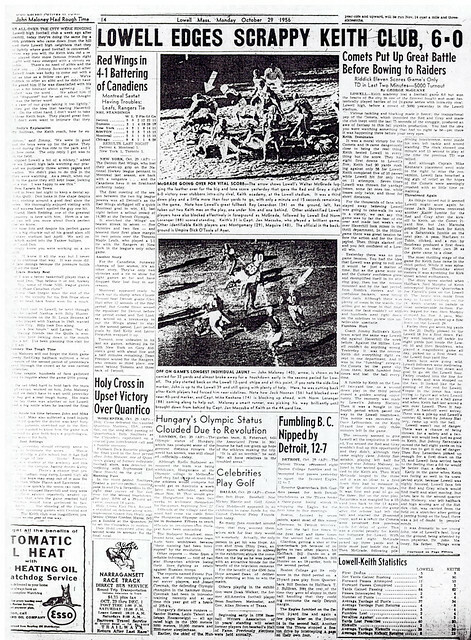 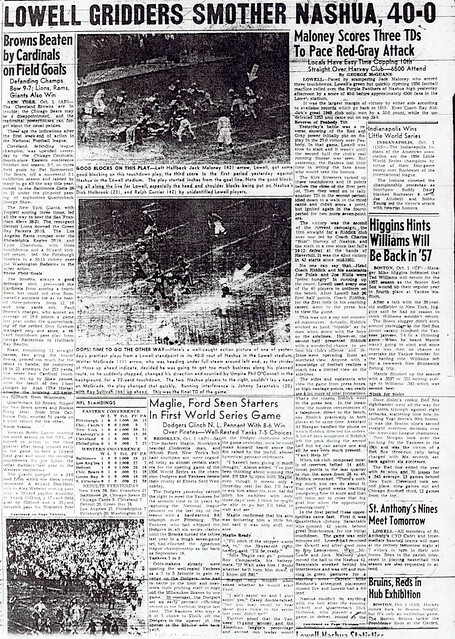 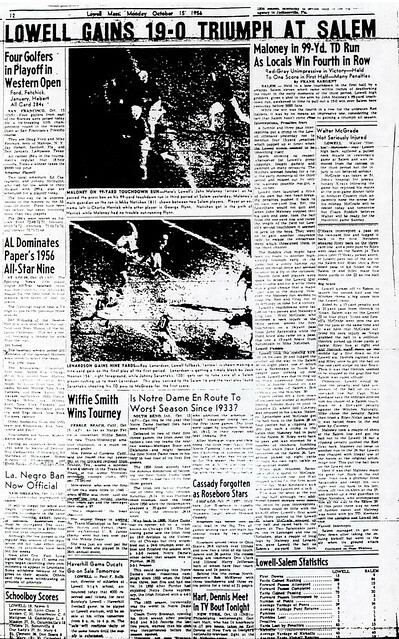 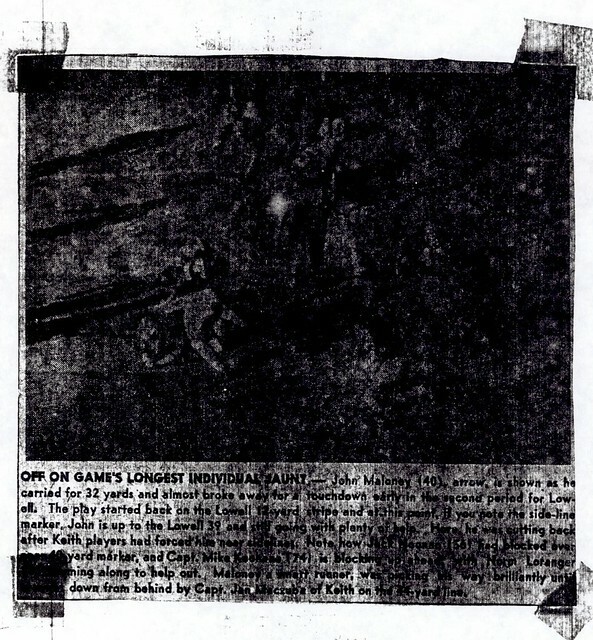 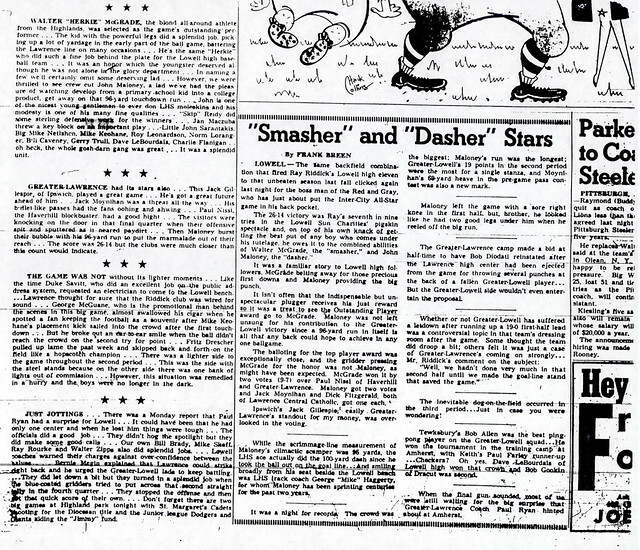 He was a unanimous choice as team Captain in 1957. 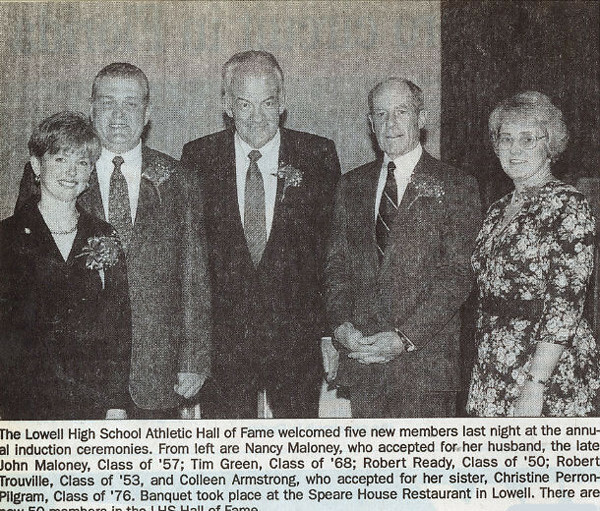 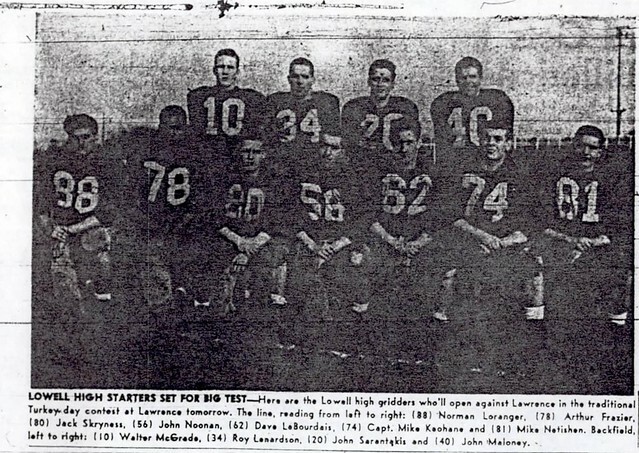 John was voted as the Outstanding Athlete at Lowell High School during his senior year. 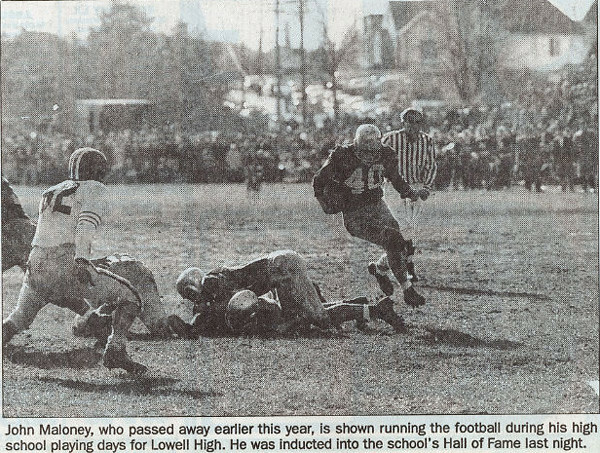 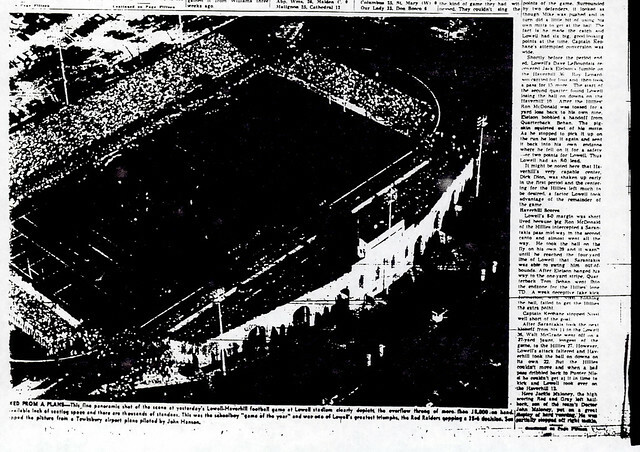 After graduation, John attended Colgate University where he was a member of the football, hockey, and track teams. 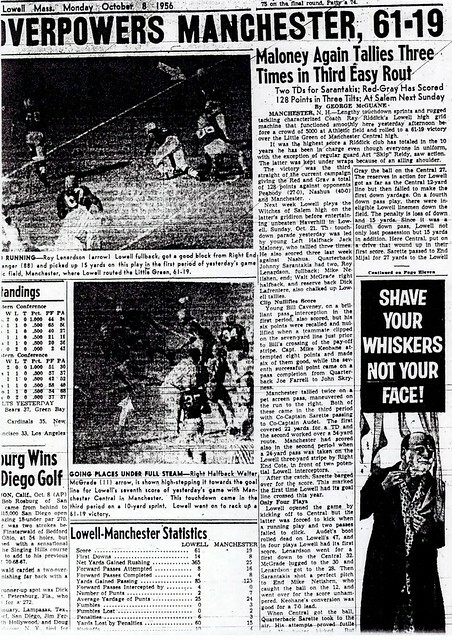 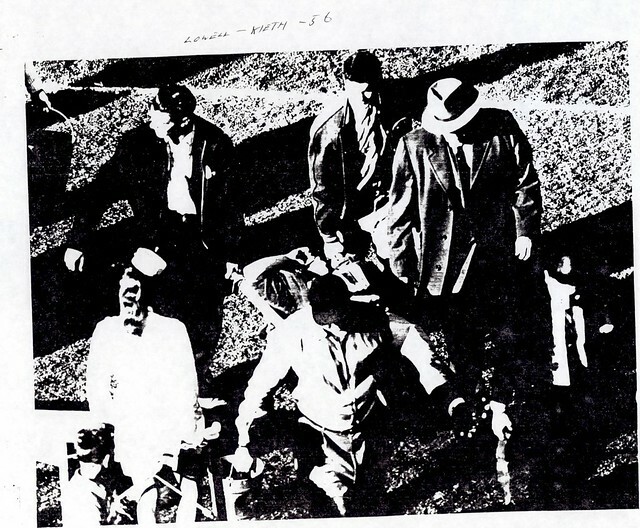 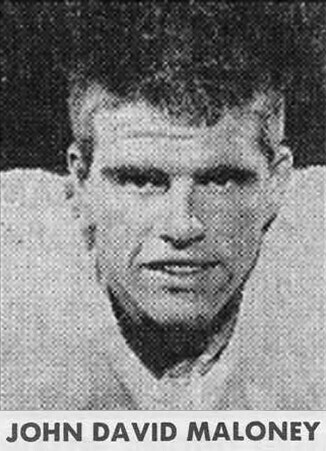 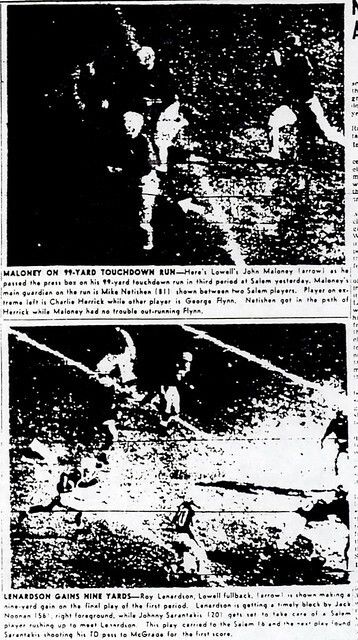 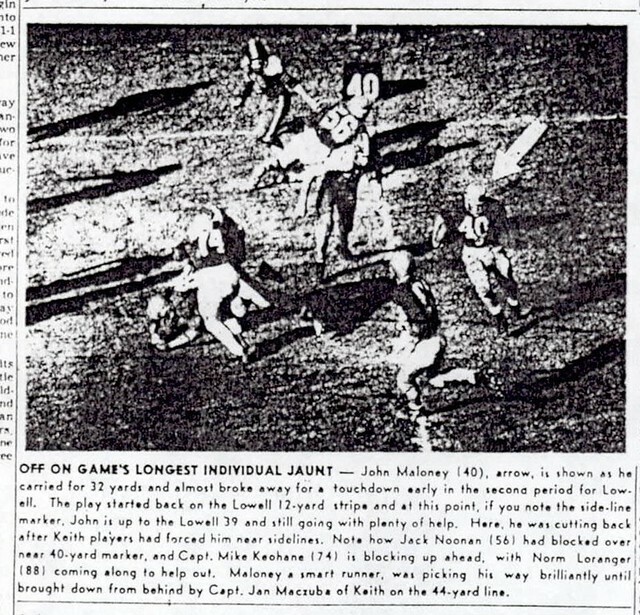 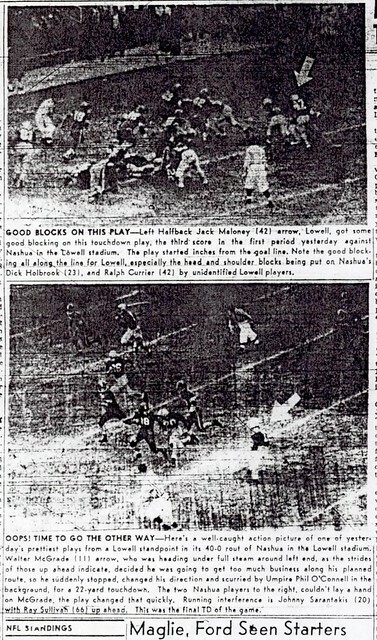 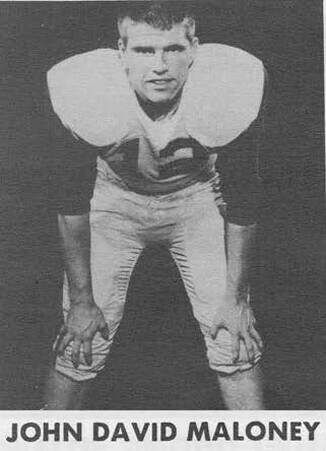 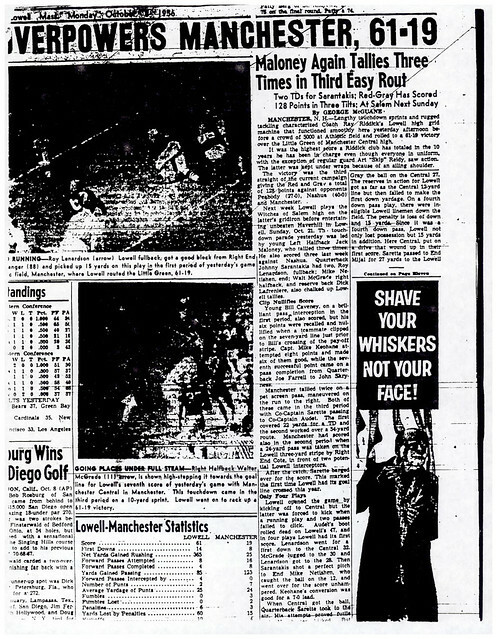 As the Colgate football Captain during the 1960 season, John scored three touchdowns against Ivy League power Princeton University. 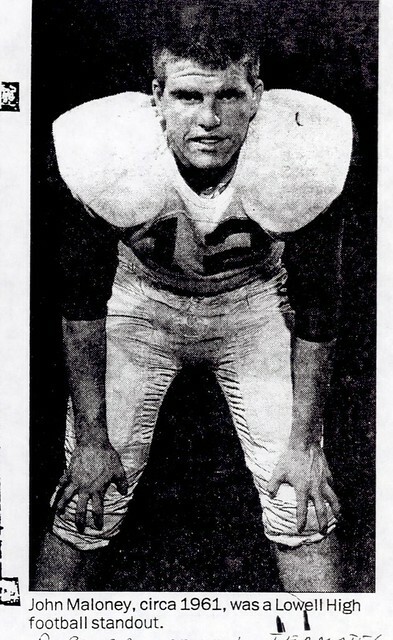 He earned numerous honors at Colgate.